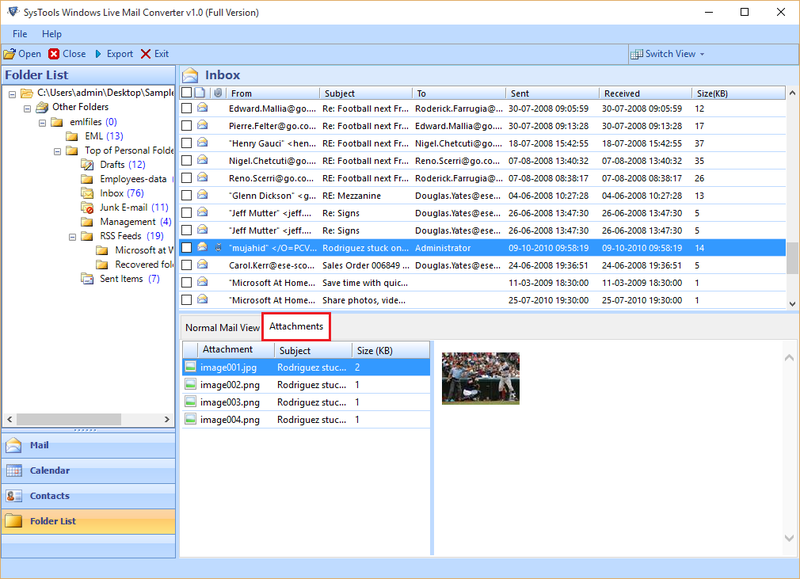 Run the software and autodetect the EML files or Browse it from local Storage. Click OK to proceed further. Then After few minutes, the Export Process Completes successfully. 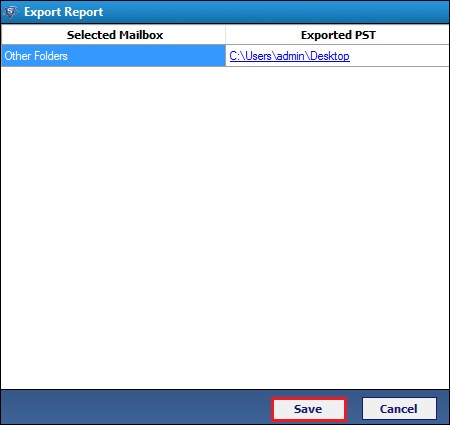 You can the Export Report by just click on Export Report Button. 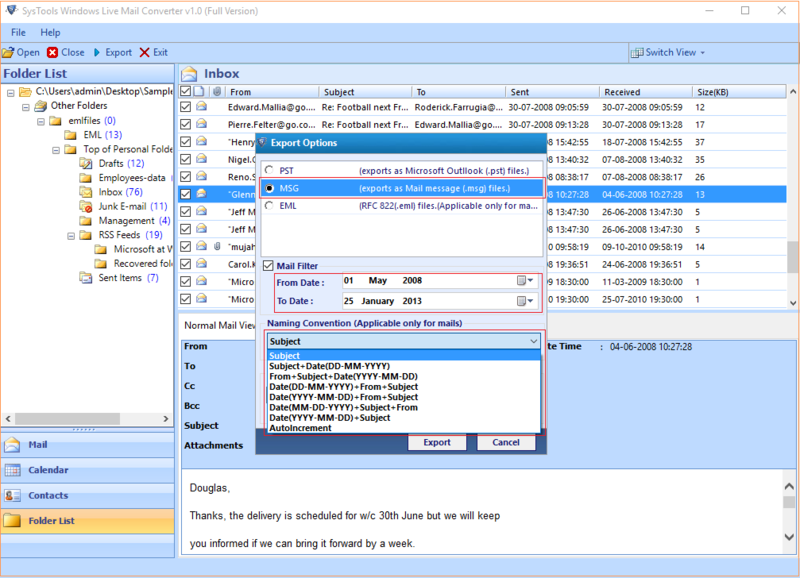 Import it to Outlook Environment in the case of PST file. Go to Start » All Programs » Windows Live Mail Converter. 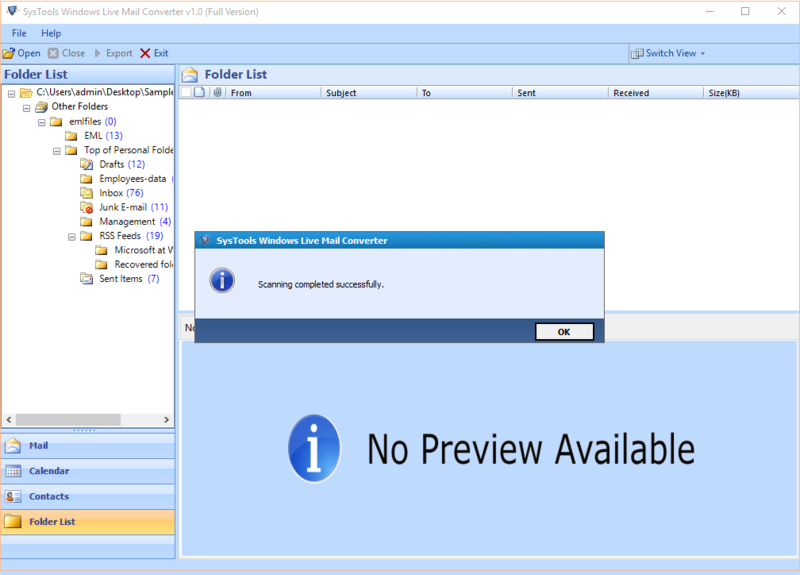 The first windows will look like this as shown in the picture below. The new prompts open up with the two option, If you choose the Autodetect the Storage location. 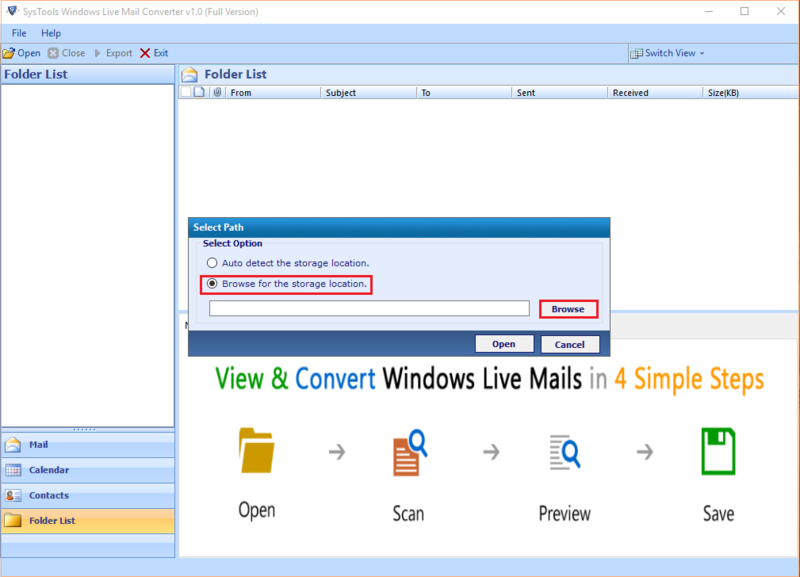 Then it allows you to detect the default storage location of Windows Live Mail. 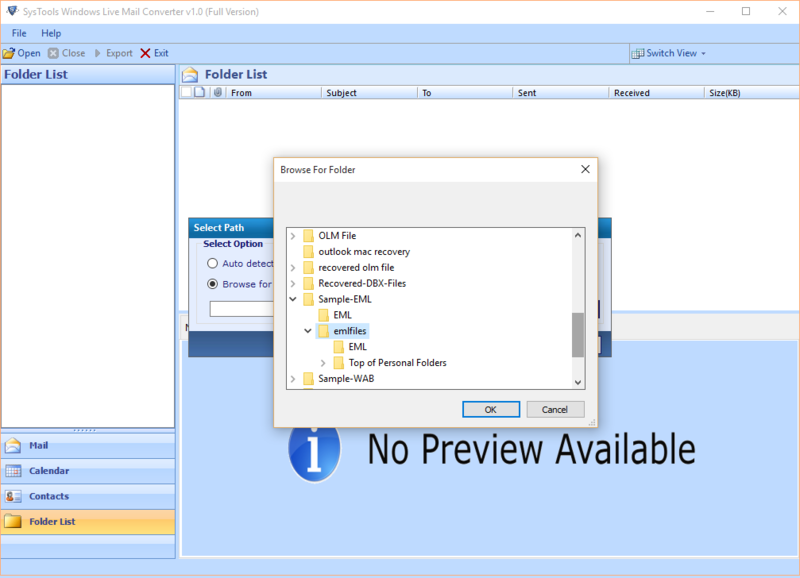 If you select the other option, Browse for the storage location, then it allows you to manually browse the EML file from the storage location. 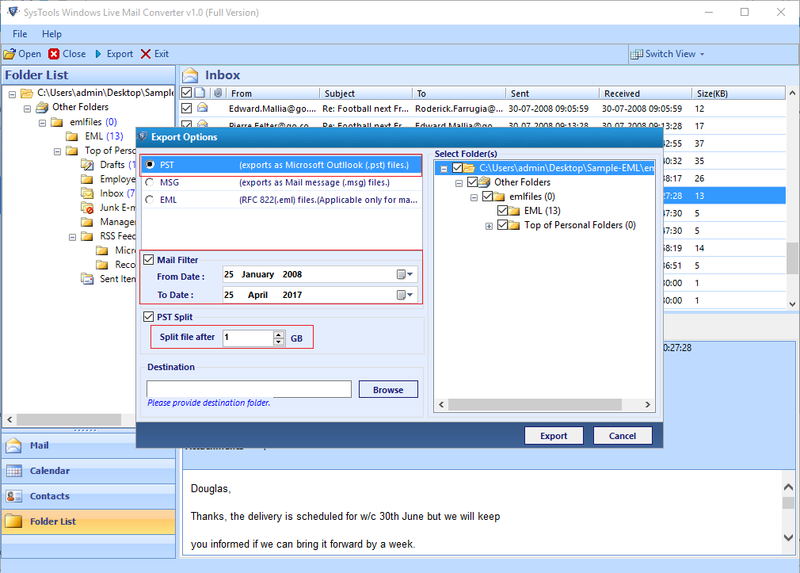 This option will also applicable in case you have orphan EML file. Click on Browse option to proceeds further. 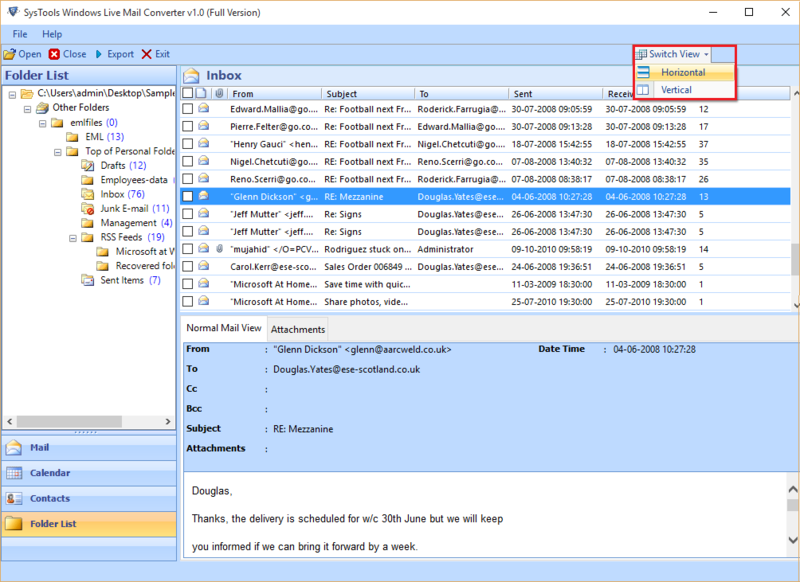 Select the location of EML file and Click on OK button. Click on Open Button to initiate the process. 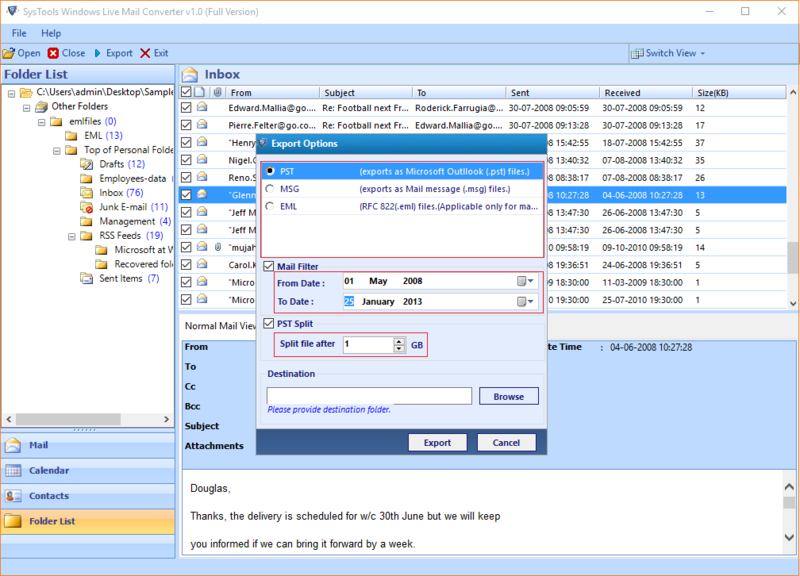 After the initiation of the process, the new windows pop-up with the following details like folder location, Size in KB, and Created ON dates. 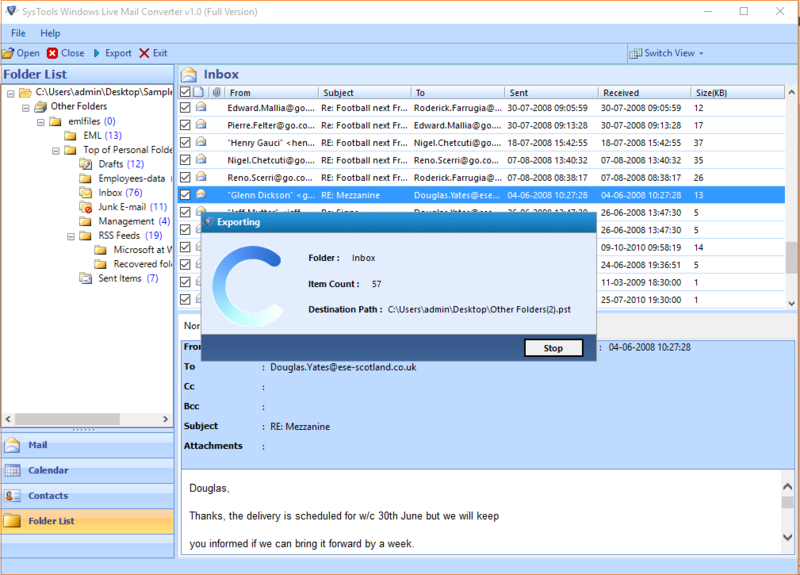 A notification pop-up with the successful of the scanning process. Click on OK button. 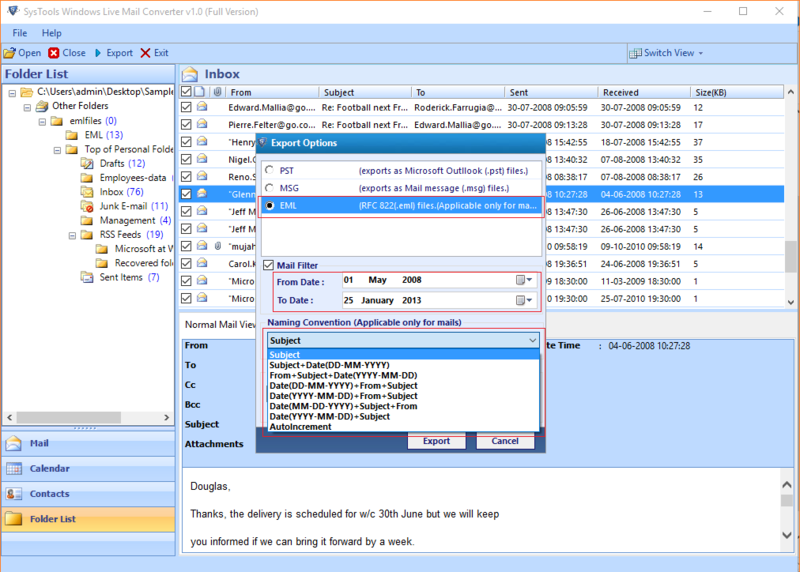 The Software also let you preview the attachments in software panel itself. You can switch from Horizontal View to Vertical view as per your convenience. 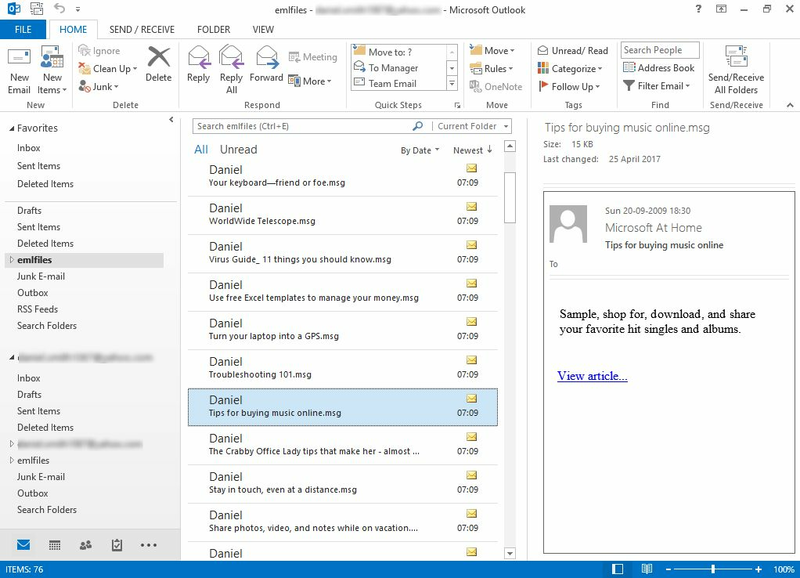 If you to export selective emails then you have to select it and the right click on it and choose Export. 1. 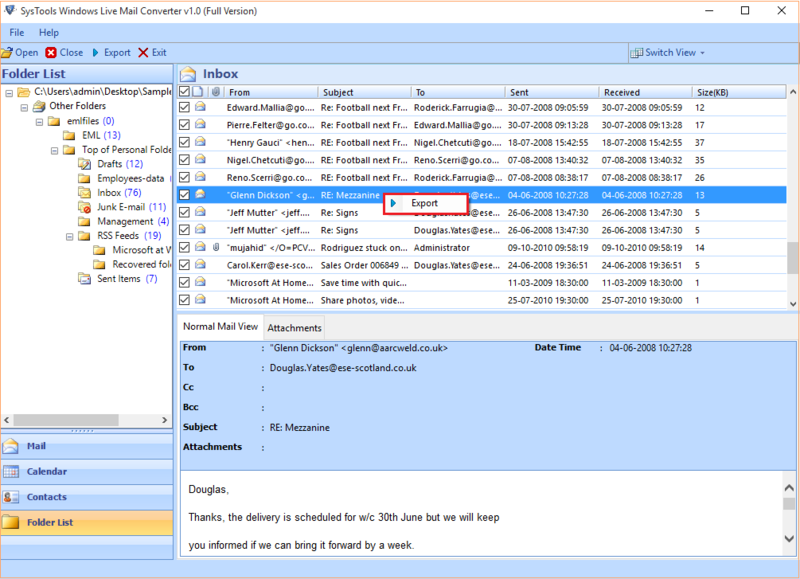 Mail Filter: - allows you to export the data from specified period. 2. 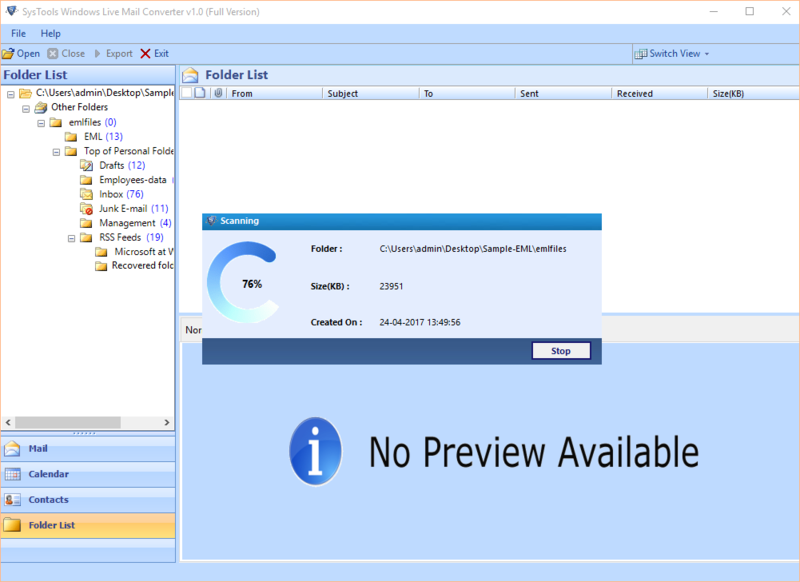 Split PST File: - Facilitates you to break down large PST files. 2. Multiple Naming Conventions: - It allows you to specify the multiple names of the resultant file. The name of the output will be same as selected conventions. 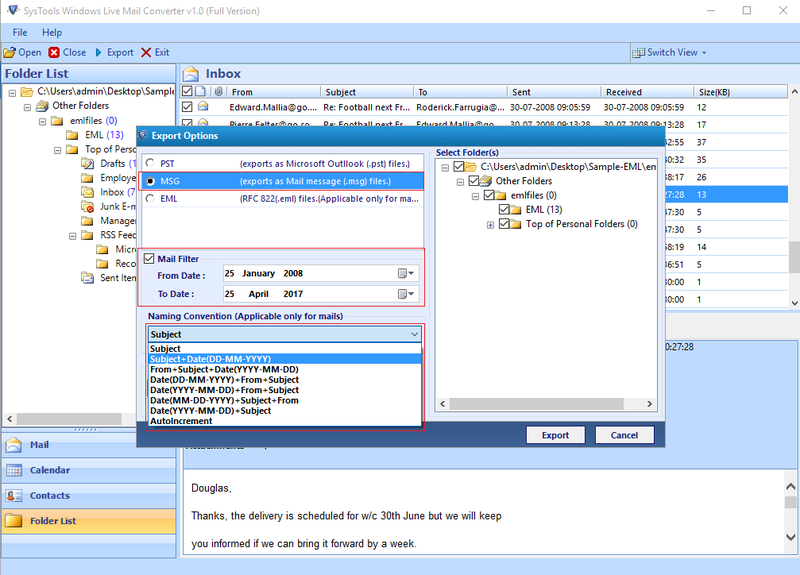 There are two options available when you want to export EML to EML file format. 2. 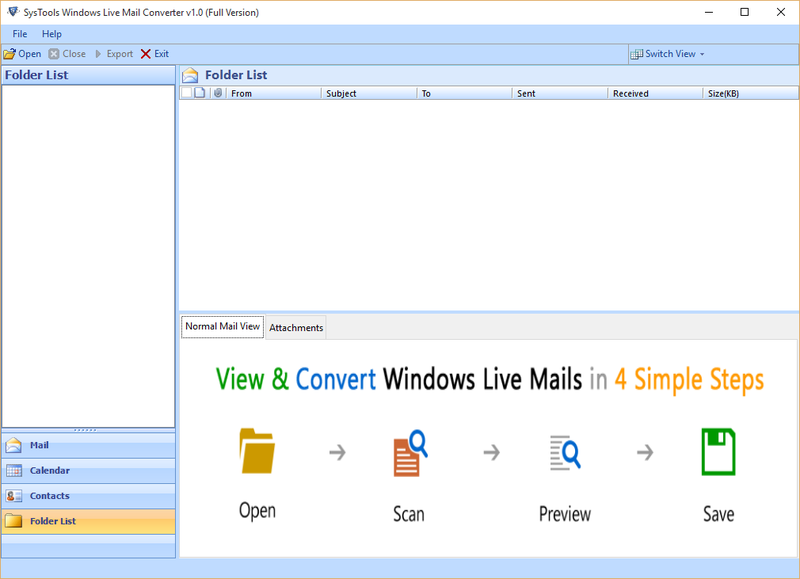 Multiple Naming Convention: - You can give the multiple names to your file using this option. 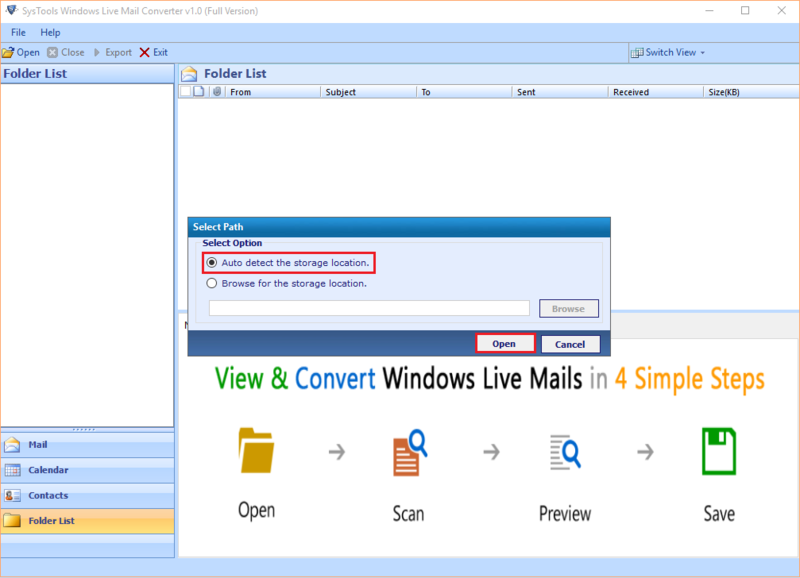 Click on Browse button to choose the location to store the resultant files and click on Export button to begins the conversion of EML files. 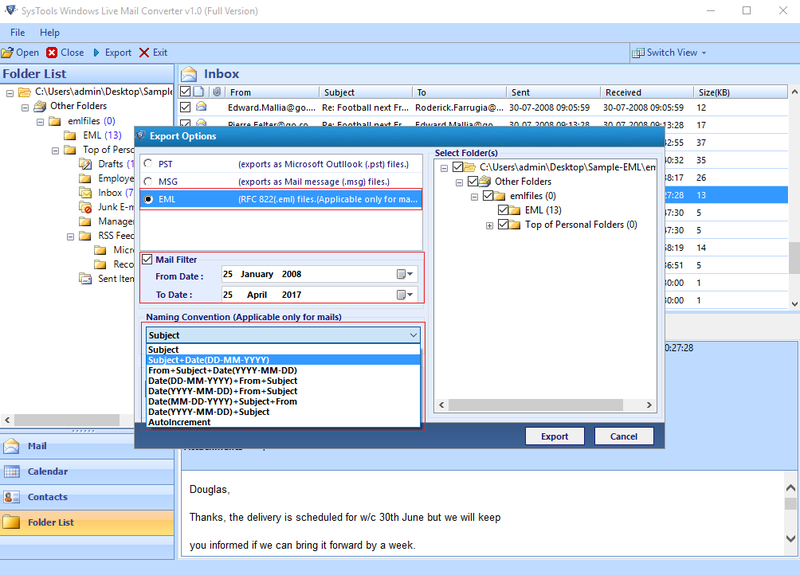 The software shows the Complete Export Process. 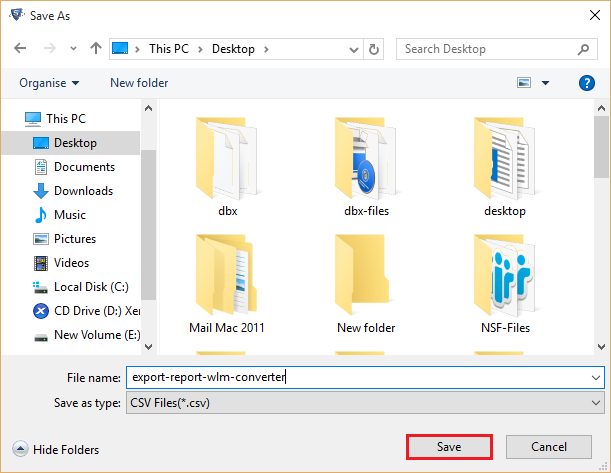 You can save the Export Report by click on Save button. 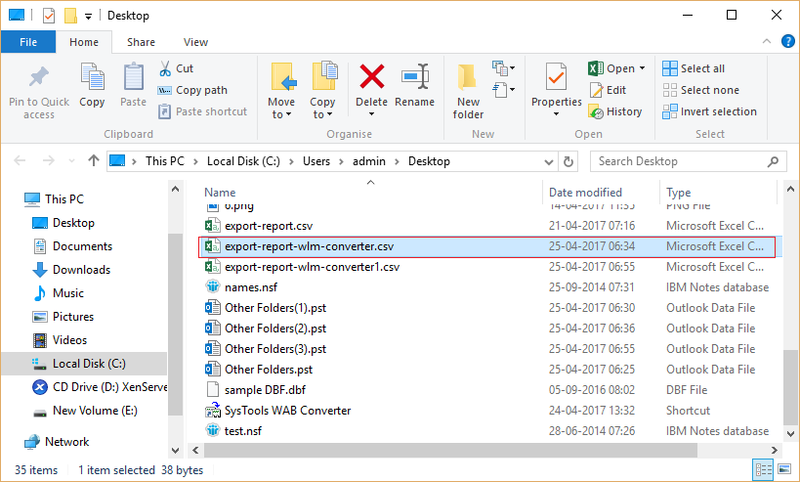 Give Name to Export Report and Click on Save button. 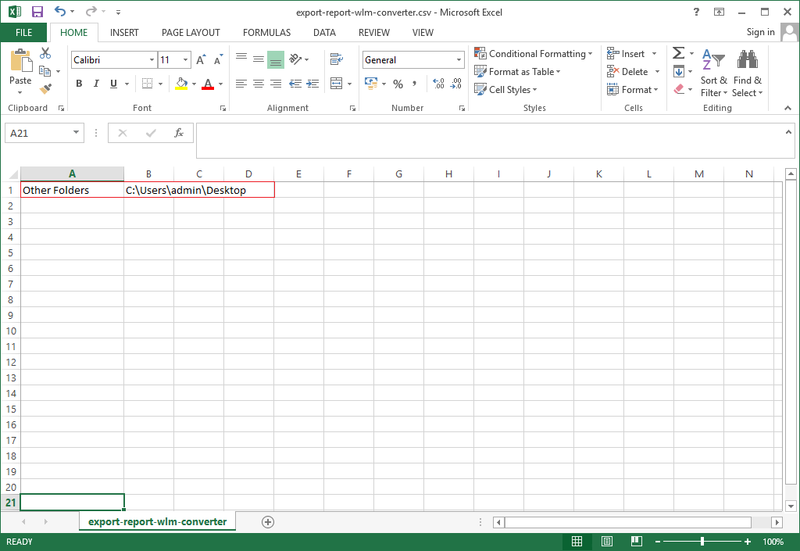 The Export Report will save in CSV file format. 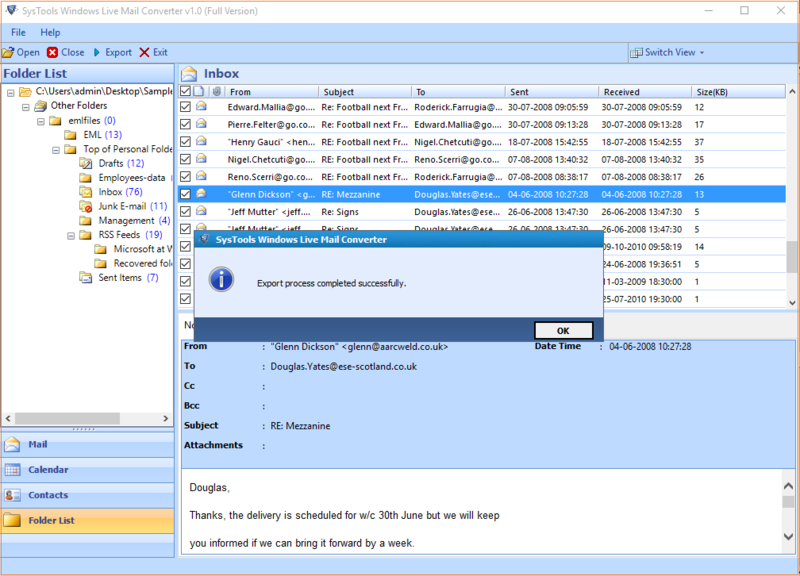 The pop-up the notifications with successfully, The Export Report Saved at the Provide location. 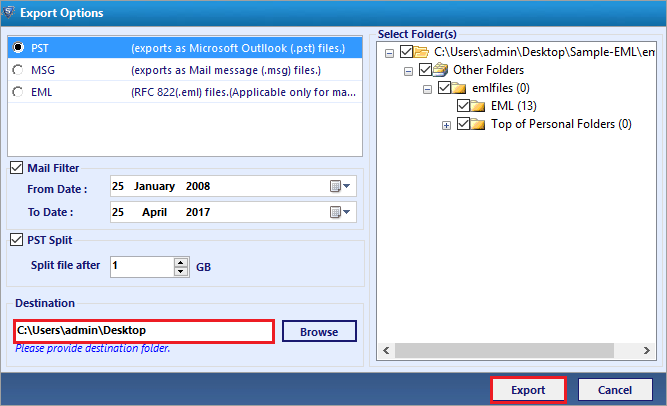 If you want to export the selected folder then you can use the Export option locates in the navigation bar. After Selecting the file to browse the destination file. 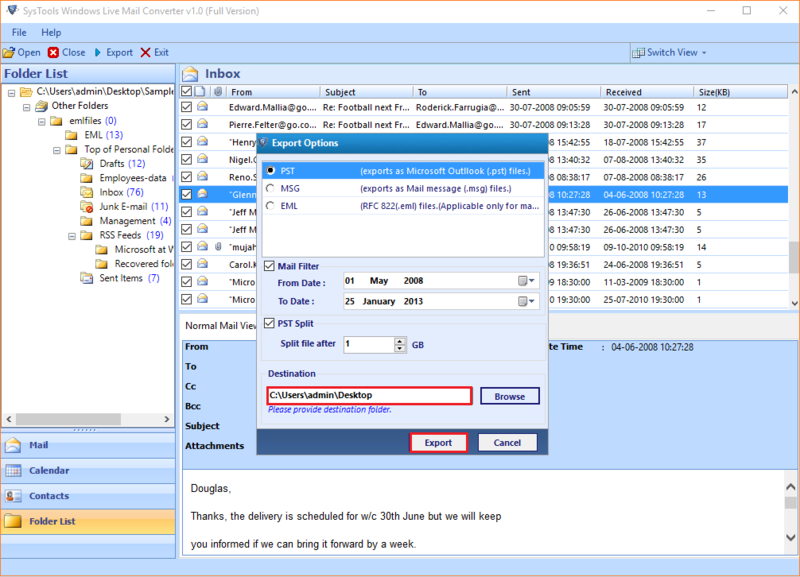 After the process is completed successfully, a prompt is displayed. 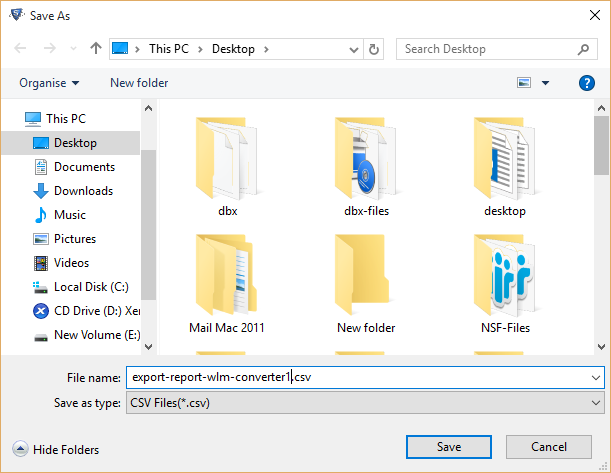 Open the location of CSV file. 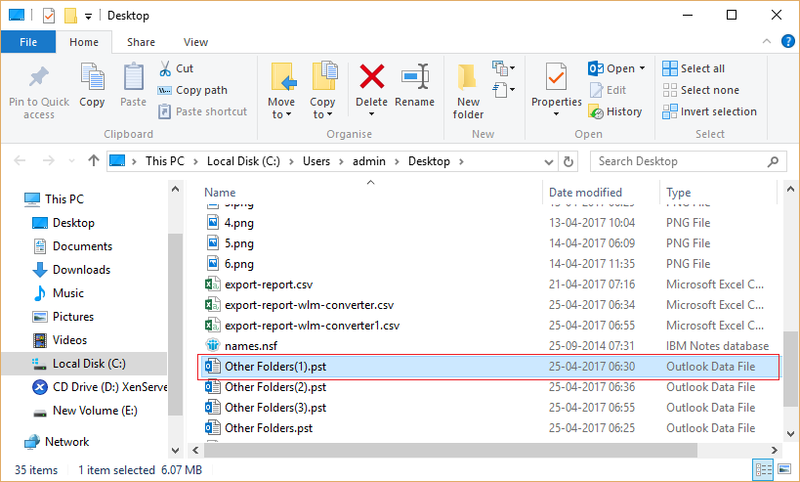 Open CSV where you can find the Name and Location of PST file. Now you can verify the result. Navigate to the location where you saved the PST. 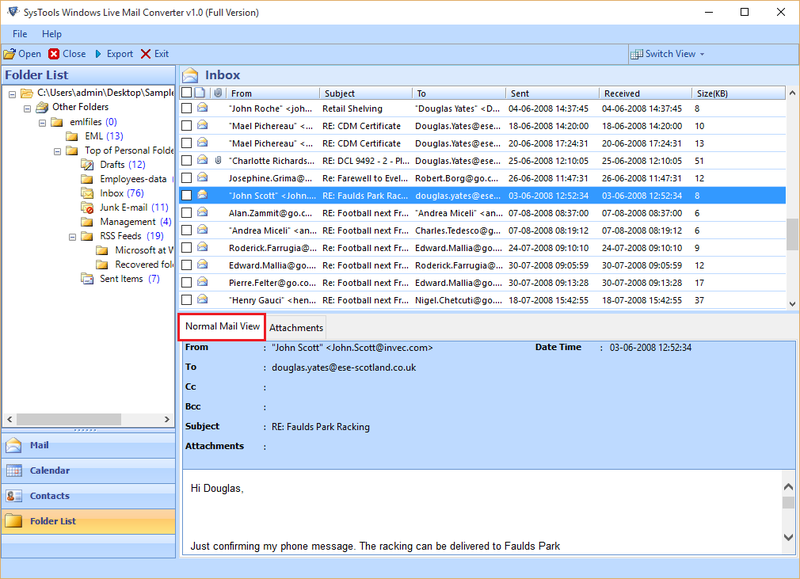 Open the PST file in MS Outlook. 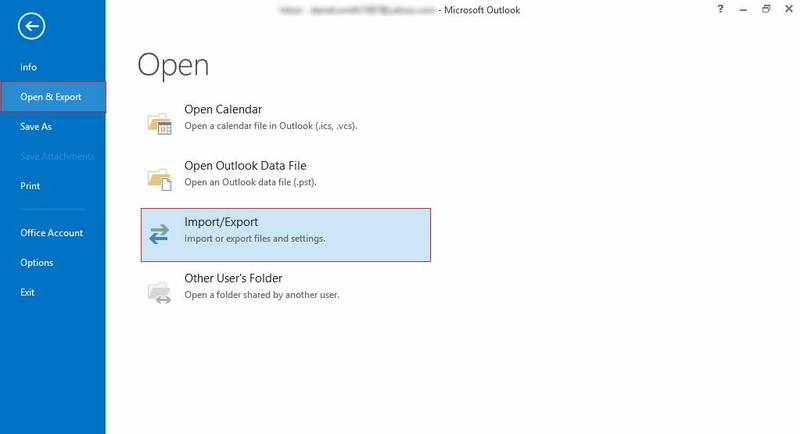 This will open up the Import Wizard Windows through which you can import PST into Outlook. 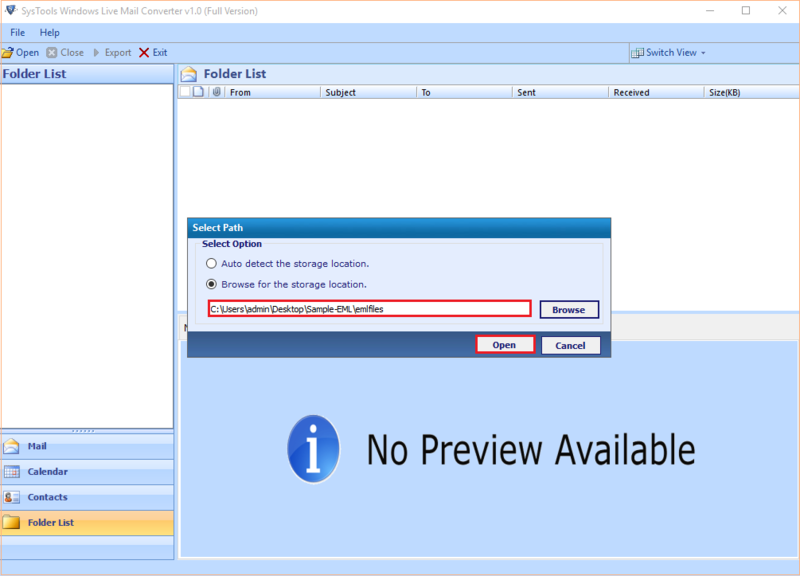 Select the PST file that you want to view and click OK.
Now you are able to view the content of PST in Outlook Application after the conversion process.